Concertmaster and baroque violinists Edson Scheid has been praised for his “polished playing” (The Strad), for being “more than equipped to deal with the virtuosic challenges” (Seen and Heard International), and for being "both musically and technically one of the most assured and accomplished of today’s younger period violinists" (The Boston Musical Intelligencer). His performance of Strauss’s song Morgen at Carnegie Hall was described as follows: “The concertmaster, Edson Scheid, proved a worthy foil as violin soloist” (The New York Times). 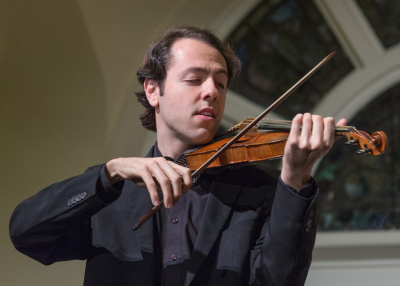 A native of Brazil, Edson Scheid has performed with such ensembles as Les Arts Florissants, Il Pomo d'Oro, the Trinity Baroque Orchestra, Juilliard415, the Orchestra of St. Luke’s, Sejong Soloists, NOVUS NY, the Aston Magna Music Festival, Orchester Wiener Akademie, and the Aspen Festival Orchestra. He is the two-time winner of the Historical Performance Concerto Competition at The Juilliard School, and recipient of the Broadus Erle Prize at the Yale School of Music. Edson Scheid’s many performances of Paganini’s 24 Caprices, on both period and modern violins, have been received with enthusiasm around the world. He has performed the Caprices in cities in Europe, North and South America, and Asia, and has been featured live in-studio on In Tune from BBC Radio 3. 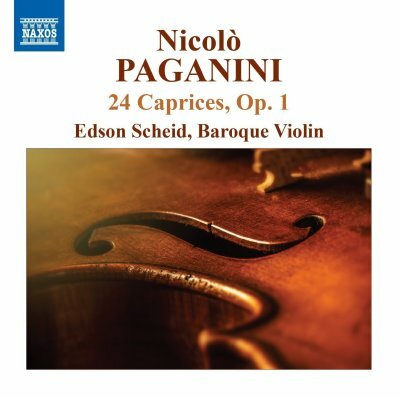 His recording of the Caprices on the baroque violin for the Naxos label has been critically acclaimed: “Far from being mere virtuoso stunts, Scheid’s Caprices abound in the beauty and revolutionary spirit of these works...” (Fanfare Magazine). As a chamber musician, he has performed as a violinist and a violist in festivals including the Juilliard Chamberfest, Utrecht Early Music Festival, Dans les Jardins de William Christie, and the Norfolk Chamber Music Festival. 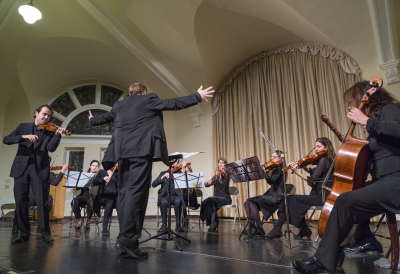 Edson Scheid holds degrees from the Universität Mozarteum Salzburg, the Yale School of Music and The Juilliard School, where he was the proud recipient of a Kovner Fellowship. To learn more about Edson Scheid, visit www.edsonscheid.com.